At Enjoy Wolverhampton Gift Card, we are committed to maintaining the trust and confidence of the visitors to our website. Here you’ll find information on how we use and protect any data/information that you give us when using the enjoywolverhamptongiftcard.com website. In order for you to receive your goods, The Enjoy Wolverhampton Gift Card works with Royal Mail. Again, we only pass limited information to them in order to ensure delivery of your items. Prior to sending any marketing communications, we will explicitly request your permission via opt-in options on this website. 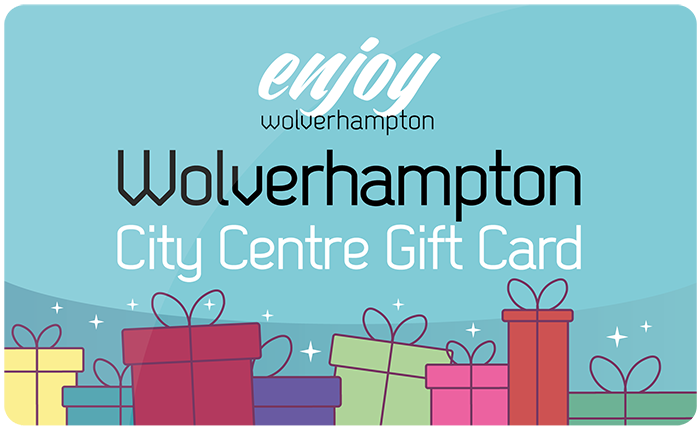 In order to send you information by email, The Enjoy Wolverhampton Gift Card works with MailChimp. Each email we send will clearly provide the opportunity for you to unsubscribe from this service. If you wish to view, update, amend or delete any personal data we hold about you please get in touch with us at info@enjoywolverhamptongiftcard.com. We will try to respond to all legitimate requests within one month. We may need to request specific information from you to help us confirm your identity and ensure your right to exercise any of the above rights. This is a security measure to ensure that personal data is not disclosed to any person who does not have the right to receive it. We may change this policy from time to time by updating this page. If we make significant changes we will make that clear on the Enjoy Wolverhampton Gift Card website or by some other means of contact such as email.